The RPD never looked so good. And gory. Wow, those intestines are really pretty. I never expected that particular phrase to pass through my mind, but it definitely did during my playthrough of the new Resident Evil 2 remake -- and more than once. Twenty years after its launch on the original PlayStation, RE2 has been essentially rebuilt from the ground up for modern platforms and it's nearly unrecognizable, at least from a visual standpoint. Gameplay-wise, however, it feels just like RE2. That's a good thing, considering RE2 is the best-selling title in the Resident Evil franchise. 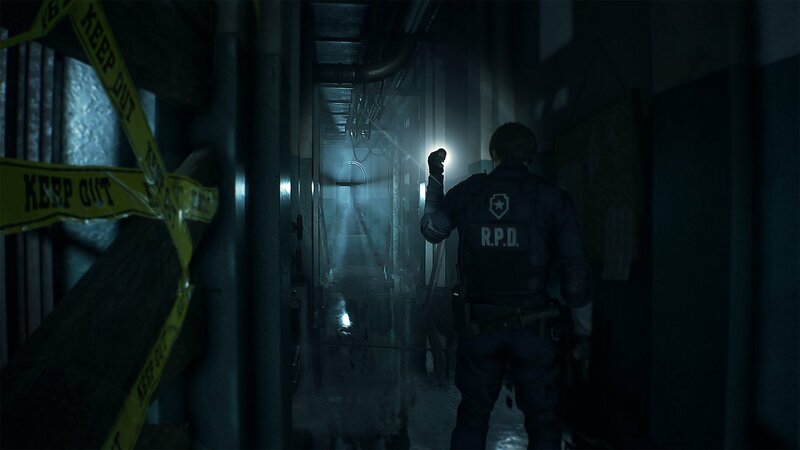 There's a lot of love for the blood-splattered hallways of the Raccoon City Police Department, and in the new game, they're crisper than ever. The remake easily passes for a current-gen title, with high-definition 3D graphics, smooth mechanics and beautifully rendered scenes of guts and gore. It's due to hit PlayStation 4, Xbox One and PC on January 25th, 2019. It draws on features from Resident Evil games that came after 2: It uses the RE Engine, which Capcom debuted with 2017's acclaimed first-person title Resident Evil 7: Biohazard, and it switches up the camera. Instead of a fixed perspective, the remake uses an over-the-shoulder mechanic a la Resident Evil 5 or 6. This shift is necessary for the game to play well by today's standards, and since there's precedent in the series for such a viewpoint, it feels completely natural. The classic RE2 beats are all in the remake: clever puzzles, supplies scattered around ransacked locations, a grid-style inventory system and tenacious zombies. The audio design is on-point, with undead groans floating up the halls as Leon (or Claire, depending on who you choose as a protagonist) shines a flashlight over blood-soaked tiles and furniture. 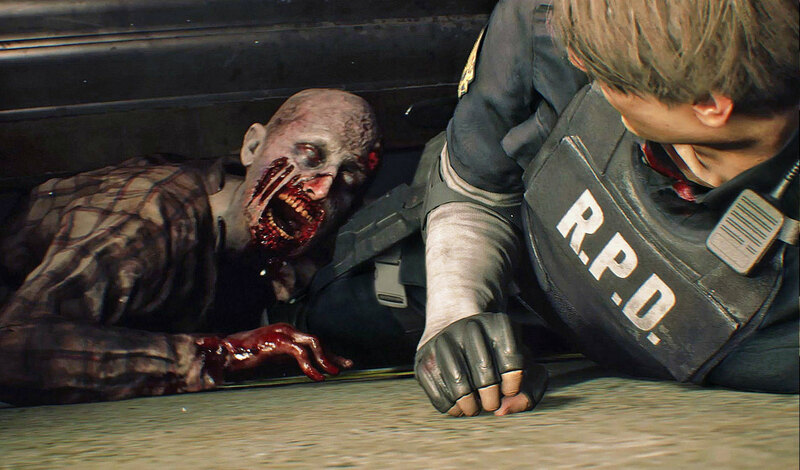 The demo Capcom is showing off at E3 2018 takes place in the Raccoon City Police Department, and it's a heart-pounding early slice of the game. Leon is trapped in the building, searching for a safe way out, gathering ammo and intel along the way. Following screams and bangs echoing from the depths of the police department, he eventually comes across an officer in trouble on the other side of a rolling metal door. 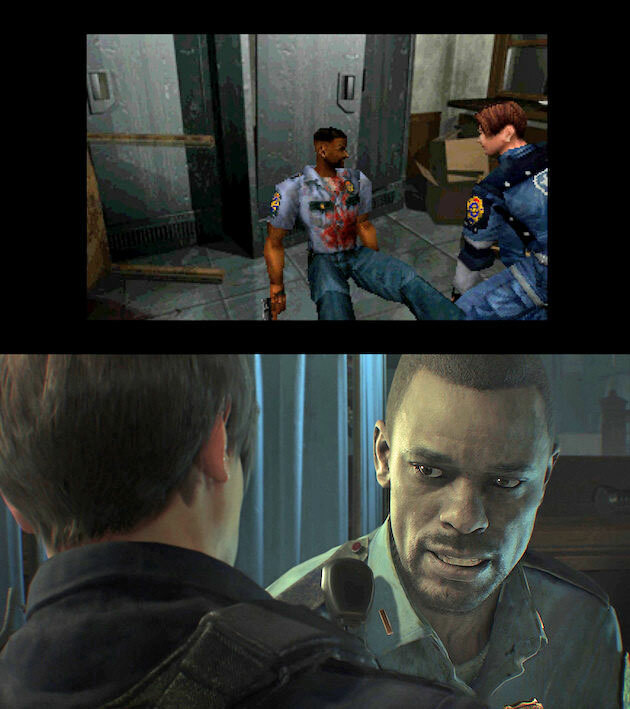 Leon creates a gap at the bottom but can't fully open it as the officer begins crawling through, crying out for help. He nearly makes it out from under the door, but just when it looks like he'll survive, he screams and blood fills the floor. As Leon drags the officer's body through the gap, it ends in a gooey, bloody lump just above his waist. And that's when I took a moment to admire the gorgeous gloss of this man's exposed intestines. That's when I realized RE2 was a little bit more than a straight-up remake. The new game demonstrates not only what RE2 does best -- deftly ramping up tension while establishing a series of puzzles and dramatic storylines -- but it's a clear example of how much Capcom (and the video game industry as a whole) has grown since 1998. Anyone who didn't play the original RE2 can pretend the remake is a brand-new installment in a legendary AAA franchise, and it holds up perfectly well in that regard. It feels like a contemporary title. Meanwhile, fans have a chance to experience one of their favorite action-horror games from a new perspective -- a grown-up one.